Discernment weighs heavily on many Catholic students, attempting to figure out how we’re called to spend the next sixty or so years. Indeed, ‘discernment’ often manages to be a cliché and a burden at the same time; speaking for myself, I know that trying to discern has been the single most destabilising and difficult element in my spiritual life in the last few years. Fr James Martin’s Jesuit Guide to Almost Everything and his autobiography, In Good Company (the latter a really great read) introduced Jesuit ideas about discernment, prayer and setting one’s course in life. The problem I had with Ignatian prayer derived from its emphasis of desires and feelings. 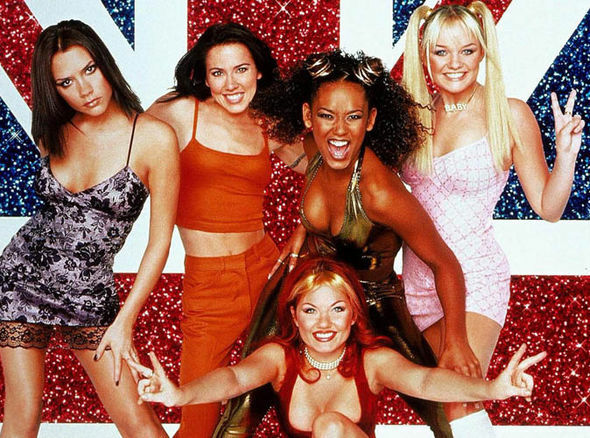 Too often the question, ‘What does God want me to do?’ became ‘What do I really, really want?’, as discernment revolved ever more around these fickle points of reference, more in line with the Spice Girls than St Ignatius. So disillusioned did I become with this ultimately circular and self-centred ‘spirituality’, I declared to one of the chaplains: ‘I’m taking a break from mental prayer’! I’m not claiming for a moment that my inept experiments represent the fullness of the Jesuit tradition. But I would like to suggest that discernment must be connected to its roots in the writings of early monks, inspired by this verse among others, if it is to steer between the Scylla and Charybdis of subjective emotions and an ossified interior life. Lamentations tells us that the man sits alone and silent because he has taken the yoke upon himself. A yoke was the bar which lay across an ox’s shoulders, allowing it to pull a plough, perhaps a strange, even troubling, image for the interior life. Yet Christ also speaks of a yoke: he tells us that his yoke is easy, yet he also insists on our taking up our cross. Is Christianity just a glorified masochism, or Marx’s opium of the people? One of the principal objections to Christianity, both on the part of secular people – and honestly perhaps on ours too – is that a good God could not allow such suffering. How is it that he can not only permit it in his creation, but demand his followers bear a cross? How should the command to take up a cross, to bear Christ’s yoke, feature in our discernment? Lamentations reflects a nation and a people suffering bitterly. It was written during the Babylonian captivity, when Jerusalem lay ruined and most of the Jewish people exiled. The author knew both his nation’s suffering and the suffering of the soul which feels unable to see the goodness of God, and so to love him. His response to suffering is not theological: the author is not trying to explain God or the ways of the world. But he points towards an ethical response: to sit alone, silently, as an act of humility; not to look for answers in our own speech or in the discourse of others; to bear the yoke humbly. Approaching the same ethical question, of how human beings should relate to God, in the light of Christ’s Passion, St Augustine also pointed to humility as the essential principle. He preached: ‘Let us follow His ways, then, as He has shown them to us, particularly that of humility, since He became himself that way for us. He showed us the way of humility by his counsels and followed it by suffering for us’. In this way Christ shows us that God is not aloof from our suffering: Christ in His Passion entered that suffering through humility: ‘He was humbler yet, even to accepting death, death on a cross’. Lamentations, read in the light of Christ, makes the link between the model for all humility provided by the Cross and profound, secluded silence. The Church has consistently interpreted Lamentations’ man afflicted, the man silently bearing the yoke as Christ, drawing on Lamentations 3:30: ‘He shall give his cheek to the smiter and be filled with insults’. The humble silence of Christ’s Passion is not merely an historical event. It continues in every tabernacle across the world. One of the greatest opportunities available at the Chaplaincy is to adore the Eucharistic Lord each morning in silence. The apparently barren silence of Eucharistic adoration blossoms, as Isaiah prophesied of the desert. An anonymous Benedictine monk-priest has recently published In Sinu Jesu, a highly authentic and moving account of Our Lord and Our Lady speaking to him interiorly during times of adoration. Our Lord gently reminded this priest of the pain He feels that His people (and especially His priests) do not want to spend time with Him, do not want His friendship. Thus our idea of even silent, interior prayer needs to be transformed. Far from being the ‘thinking very very hard about what I really really want’ I had mistaken for mental prayer, it is our response to Christ’s first commandment of love: by spending time in silence with Him, we love to God. This is all Christ commanded us to do: discernment comes from opening the ear of our heart, not from furrowing our brow and turning in on ourselves. Equally, discernment doesn’t equal havering – God can’t drive a parked car, so love God, spend time with him, love your neighbour and serve him, and do what you sincerely believe to be right.